ALL the evidence put forward as proof of human reincarnation, insofar as it has come to my attention, is, I feel confident, but a misinterpretation of actual facts. I have no occasion to question the honesty of the witnesses. They without doubt report what is seen and what is felt as it seems to them. But as these experiences are invariably of a psychic nature, they must be interpreted in the light of what is known to be the conditions imposed upon psychically received information. When so interpreted they prove, not human reincarnation, but certain laws governing psychic phenomena. As an example from many: An elderly lady and her companion were traveling through the state of Minnesota when the engine broke down and the train could not move for several hours. Although she had never been in the state before, she felt an intimate sense of familiarity with her environment. Looking out of the window she saw a large old house, and as she looked she felt she had at one time lived in it. So familiar with it did she feel that she described the interior arrangement of the rooms and other details to her companion. Finding that the train would not move for some time, they left it and went to the house and asked permission to go through it. Everything was arranged just as described. Subsequently, this lady came in touch with the doctrine of human reincarnation. On the strength of her experience she grasped the doctrine readily and lost no opportunity to tell her story as a verification of it, stoutly affirming she remembered living in the house in a previous incarnation. Finally, a friend took the trouble to look up the history of the section where the house was located, and found that it had been settled at a date much later than the lady’s birth, and that there had been no houses in that section previous to a time when the lady who had the experience was full grown in the present life. Therefore, although familiar with the interior of the house, and feeling sure she had lived in it in a previous life, she could not have done so because the house was not there until long after her present birth. I could fill a large volume with the experiences of those who feel certain they remember past lives, in which factors are present that when looked up historically have proved beyond any doubt that the experiences as described could not have taken place. This remembering of past lives is on a par with reading the “akashic records.” It is a similar experience and under the same laws. Therefore, without in any manner wishing to question the sincerity of either, but using them merely as examples with which to illustrate the utter fallibility of psychically received information when it has any bearing upon established religious conviction, I may be pardoned, I hope, for mentioning Dr. Rudolph Steiner and Mr. Leadbeater. These two men, Dr. Steiner as the head of the Anthroposophical Society and Mr. Leadbeater as a Theosophical leader, together with a lady to be mentioned shortly, are perhaps the most influential exponents of the theory of human reincarnation in the world today. All three are believed by their followers to be gifted with wonderfully accurate psychic powers. Yet these very psychic powers, depended upon to verify the theory of human reincarnation, when actually put to a test which later came within the scope of historical verification failed miserably. In other words, instead of the infallible reading of the “akashic records,” Dr. Steiner was merely reading a tradition embodied in the Zohar, and probably having no basis whatever in fact. Mr. Leadbeater, through his seership, was able to write the Lives of Ulysses, but it has turned out there is reliable historical evidence that his chronology is wrong, and ample evidence that the names he gives to his characters, instead of being read from the “akashic records,” have been taken clairvoyantly or otherwise from a modern writer. In regard to him the editor of The Occult Review concludes: “With the latter, however, there is the suggestion or suspicion of tinkering with earlier historical records and putting them in a new setting with a view to establishing or defending certain reincarnationist theories, with which history, by a violent abuse of chronological facts, is made to square.” Here, of course, space does not permit of extensive comment, but the writer quoted is notably sympathetic both to human reincarnation and to Theosophy. For a full discussion of the reading of the “akashic records” by Dr. Steiner and Mr. Leadbeater I must refer the reader to “Notes of the Month,” and two articles, all appearing in The Occult Review for January 1923 (Wm. Rider and Son, London). I might go on to show how another Theosophical leader and world-renowned exponent of human reincarnation, for a long period claimed to remember she had been Cleopatra in a past reincarnation, but has lately decided she was not. I might take up, one by one, the statements of prominent persons regarding their past lives and give these statements the benefit of analysis. But not only is this too much like criticizing people, but I am convinced that in most cases they are quite sincere in their belief, and that this sincerity springs from actual psychic experiences which have been misinterpreted. In the first place, due to astral substance interpenetrating and surrounding all, retaining whatever vibrations are imparted to it, every idea ever held by man and every thought having passed through his mind, persist in the astral. All the world’s events of the past have left their impress as vibrations in the astral substance associated with this earth. A person naturally sensitive, or one having cultivated the lucidic senses, who comes into rapport with the astral vibrations recording a past event sees that event as if it were taking place before his eyes. Just as a psychometrist upon touching a letter written by someone years before has all the thoughts and sensations that the person had while writing the letter, so a sensitive person who comes into rapport with an astral record feels as if he were actually witnessing or taking part in the recorded event. Unfortunately for the infallibility of thus reading the “akashic records,” there is always the human equation of the sensitive. Not only will any idea that is strongly dominant in the mind of the sensitive tend to warp the whole reading to support this idea, but a person in the subjective condition usually present while reading the “akashic records” is just in the right condition to be susceptible to suggestion. Just as a hypnotized subject, if told he is king, will carry out the impression to the smallest detail, thinking of a surprising number of things to make it realistic, so a sensitive, if given a single suggestion when in a subjective state, will weave about the central idea wonderful phantasies that all seem to bear a logical relation one to the other. For instance, it is a common occurrence in our astrological classes, from which no one is barred, for some person in the audience, when a birth chart is placed on the blackboard, to commence telling all about the past life of the individual whose chart is up for discussion. If allowed to do so, half an hour will be consumed in telling the past lives in great detail, and just what events led up to the person being born with the kind of a horoscope he has. The whole thing is painted with a realism that is quite convincing. Now, one would think that a person psychic enough to relate so many details of past lives—about which no tests of accuracy can be made—would also be able to relate a few details about the present life. But when called upon to tell the events of the present life also, there is a strange silence, or else events are given that when the identity of the owner of the birth chart is made known can quickly be proved not to have taken place. A person giving such a reading from a birth chart is under the influence of suggestion. 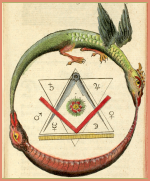 He is dominated by a central idea—that of reincarnation—and for every discordant aspect he sees in the birth chart his imagination supplies him, quite vividly to be sure, with some sin in a past life. And if his fancy is still further freed under the influence of this self-applied suggestion, he will bring in elementals who are attached to the unfortunate, or the dweller on the threshold, and sundry other things that he feels have become associated with the victim in a past life. There is also the person, growing in number and popularity, who without a horoscope or other guide than your presence, gives a dramatic recital of one or more of your past lives. Ask him what happened to you a thousand years ago and he will glibly tell you. Ask him what happened yesterday or a year ago and he cannot tell. These people are not dishonest. They believe what they say. But they are no more responsible than if hypnotized by a hypnotist and told by him that they could read the previous lives of persons. In the hypnotic state they would supply the information required whether it exists in actuality or not. As it is, they supply the information required because they have induced a self-hypnotic state while acquiring their lucidity, or psychic ability, and at the same time they have so strongly suggested human reincarnation to themselves while in this state that it has come to exercise a control over all their psychic perceptions; as much so as if the control had been brought about by the suggestion of a hypnotic operator. But aside from these people who find it so easy to relate events of the past lives, and so difficult to discern those of the present one, there are others who have psychic experiences that are not due to self-hypnosis, yet usually are interpreted as proofs of human reincarnation. In the case related of the lady who felt she had lived in the house and was familiar with all its details, it is unlikely she had ever visited the place while out of her body in sleep. It is more probable that, becoming partially lucid, the condition of rapport was established between herself and the astral counterpart of the house. She really psychometrized the house, and no doubt, if she had tried she could thus have followed the astral record of the house back to the time it was built, and witnessed many scenes in its history. In a similar manner, a psychometrist upon touching a pebble is able to see and feel its history and relate it as if he had been an eyewitness to the geological changes that brought the pebble to its present form and station. He does this through his ability sympathetically to vibrate to the records persisting in the astral substance associated with the object. He feels as if he had been right there at the time the event transpired, and unless familiar with the laws governing psychometry might very well believe he actually witnessed the occurrence in a previous life. In fact, it is quite natural to consider any psychic experience as an example of a revived memory. Things seen clairvoyantly or in sleep are not seen with the physical eyes, things heard clairaudiently are not heard with the physical ears, and things felt psychometrically are not felt with the physical sense of touch. They are perceived by the corresponding senses of the astral body. These perceptions are recognized by the unconscious mind, and may or may not rise up into the region of objective consciousness. In reality they exist in the unconscious mind precisely as does the memory of a physical experience. They are subject to all the laws of memory. To rise into objective consciousness there must be some association between the psychic experience and some thought already present in the objective mind, unless the person is in the subjective state as when hypnotized or under the control of a disembodied entity, in which case he is perceiving what the operator desires him to perceive. We do not remember past events except when there is a link between what is already present in the objective mind and what we remember. This link of association may be very slight, but it is none the less present. Neither is a psychic experience recognized to have taken place except there is a similar link of association between it and what is already present in the objective mind. Unlike objective experiences, which are first recorded in objective consciousness and then imparting vibrations to the soul, reside there as memory, psychic experiences impart vibrations to the unconscious mind first. Later they may or may not, as the case may be, transmit motion to the physical brain in such a manner that the experiences are recognized objectively. If they do so, a psychic experience may be recognized almost at the instant it is experienced. On the other hand, the objective mind may be so occupied with other things that the experience resides in the unconscious a long time before there are lines of association between it and what is in the objective mind strong enough for it to be objectively recognized. But in any case, it first is memory. It is not to be wondered, then, that so frequently what is beheld or felt psychically should seem to be something remembered from the past. I have spoken only of psychometry in connection with physical things. But there is another form of psychometry that is quite common. Every person who has lived and died has left the record of his experiences in the astral substance associated with this planet. Even as similar positions of the planets in the birth charts of two living persons tend, if the persons are brought together, to establish a close rapport between them, so persons who have lived and died leave a vibratory record in the astral substance that readily is attracted by a living person who has a similar birth chart. That is, by the law of resonance, one is very apt to attract and form the conditions of rapport with the astral record of a person who in life had a similar birth chart. Most persons, not being sensitive enough, are unconscious of such experiences. But one partially or wholly lucid, under these conditions will undergo a semi-transfer of identity, and will live in memory the experiences that the person whose record is thus contacted actually had. They are the actual experiences of a person who lived and died, but they are not the experiences of the psychic in a former life. Further, the actual experiences of a person while out of the body during sleep reside as memories in the astral brain, and when some line of association is set up that causes some of them to be remembered they are often mistaken for experiences of a past life. During sleep, man’s consciousness resides in the astral body, and it is quite common for the astral body to leave the physical body and travel to such regions as its strongest desires attract it to. Thus those interested in certain lines of thought may be attracted during sleep to schools in the astral world where these subjects are taught. Usually these experiences are not remembered on waking, or are greatly distorted in their transmission through the physical brain, although proper training will enable them to be brought back more completely. But in physical life, when confronted with some fact or doctrine or experience, there may be a sudden feeling that it has been encountered before, and that it is all quite familiar. This may be true, but it was not in a past life. It was encountered while out of the body in sleep, in this one. In fact, comparison with the known conditions of the world in the past frequently proves that the knowledge or experience with which one feels thus familiar without having contacted it physically in this life, could not possibly have been gained in a past life; for the factors involved are of too modern origin. The facilities for movement and perception are so much greater on the astral plane, that people usually meet there before meeting on the physical plane. Of course, such meetings are seldom remembered on waking. Yet when two persons meet in the physical there may be a feeling they have met before, and it is quite easy to jump to the conclusion that there was friendship or enmity in a past life. As a matter of fact, which a little psychoanalysis will often reveal, they have actually met on the astral plane during sleep. Geniuses and prodigies also are sometimes cited as indications of human reincarnation. But to one familiar with astrology the fact that they exhibit precocity or unusual ability cannot be related to previous human experiences of their own. They are related to previous human endeavors, it is true, but it is to those recorded in the astral substance surrounding the planet, and to disembodied human beings who have labored along the same lines. That this is the true interpretation, rather than the human reincarnation one, is evident in the fact that in the birth chart of genius those planetary positions are always most pronounced that indicate the ability to contact the inner plane, and draw directly from its records and its inhabitants. In such cases the planet Neptune is always prominent in the chart, giving the sensitiveness of nervous organization that enables them to contact the vibrations from the astral world. This sensitiveness to the astral world gives rise to the temperamental idiosyncrasies of such people. In their highest work they enter into a state of abstraction that partly shuts from their mind the external world. Thus, although they may not be conscious of the source of their inspiration, they come directly into contact with that portion of the astral world, and with discarnate entities, which are sympathetic with the work in hand. Aptitude for any branch of learning, whether genius is present or not, is indicated by the configurations of the planets in the birth chart. These configurations of the planets map the thought cells in the astral form at birth. Such thought cells have been formed by the experiences of the soul previous to birth in human form. They were formed because the original quality of the soul attracted it during the course of its evolution to these experiences, which are necessary to its development, that it may fulfill its own particular function in the cosmic structure. Because there is need of workmen of different types in universal construction, souls differ in original quality, and pass through different experiences. Some, like oaks, grow slowly and thrive in certain environments; others, like the fir, grow swiftly and rejoice in a different atmosphere. All must admit that the first human incarnation was determined by the original quality of the soul, plus the various experiences which constituted its need for expression when born into human life. To account for the later difference in souls, it is necessary to assume they differed in their first incarnation either in character or in opportunity, or that it is but a matter of more numerous incarnations. If it is but a matter of more numerous incarnations that causes the difference between people, then we must believe all people are alike, except some are older than others, in which case both effort and karma become useless factors. But if people differed either in character or opportunity in their first human incarnation, then we have an example of a condition not caused by karma just such as karma was invented to explain. In any alternative, the introduction of the theory of karma is redundant. Neither does heredity alone—the heredity genes of modern science—explain the diverse mental, moral, and physical qualities of children of the same parents. The thoughts and feelings of the parents at the moment of union have a great influence upon the quality of the soul then attracted. A child born from a love union is very different from one born from a union of the same parents in which one at the time was actuated by inflamed passion and the other was filled with loathing and disgust. Such differences in children, as well as the contributing factors, are revealed by their birth charts, but it has nothing whatever to do with human reincarnation. Nor is the observation that certain types of intelligence and character recur at given intervals indicative of human reincarnation. One might as well say that all persons born between March 22nd and April 21st are reincarnated Romans, because they exhibit warlike tendencies. At regular intervals certain planetary configurations recur. The most perfect of these cycles is called the Naros. Thus about every 600 years the sun, moon, and naked-eye planets occupy the same relative positions. It is possible, then, for persons to be born with birth charts practically the same as others who lived 600 years before. 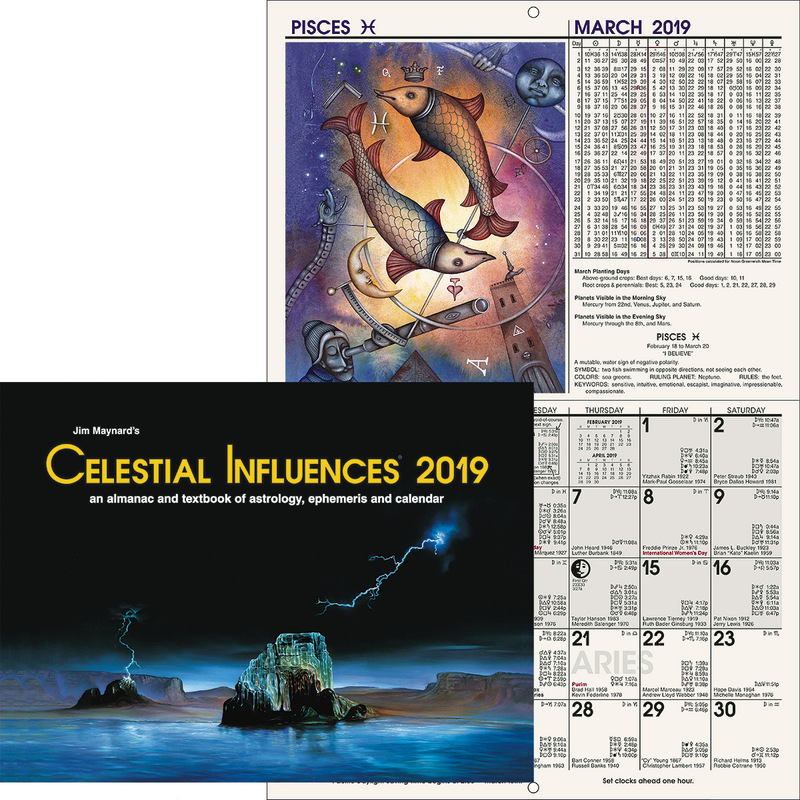 Of course, the plane from which the mental forces are received, ruled by the precessional cycle during which the equinox is about 2,156 years in each sign, and the avenue into which the efforts will be directed, ruled by planetary sections of about 308 years, will be different. But in a general way, it is quite possible for characters and history apparently to repeat. Yet, if the same players do appear time after time on the stage of life to act the same parts, they have failed to profit by former mistakes and are making no progress. They are going round and round, like squirrels in a cage, without getting anywhere. It is from this wheel of material rebirth that the Oriental devotee seeks to free himself and enter nirvana, another realm in which there is no progress, and, most pleasing to the Oriental mind, no effort. But in all Nature, I defy anyone to point out one single instance of such stagnation. Eternal Progression is the anthem of creative life, applicable alike to material atoms, to human souls, to planets and starry systems, and to angelic hierarchies. All Nature moves in a spiral. The life wave carries the soul irresistibly upward. It cannot stop, it cannot retrace its steps. Souls may appear to be going backward, even as planets appear to retrograde, but when viewed from a greater height, neither soul nor planet in reality is retrogressive. The utmost that might be accomplished toward thwarting Nature’s purpose of eternal progression would be through defiance of her laws to bring about self-destruction. Such, according to an old tradition, is the fate of self-willed black magicians. Nature’s capacity is not so limited that she need force man back again to earth for experience. Nor need she pass all souls through the same experiences, nor give one soul the same experience again. Her resources are boundless, and she ever seeks variety in her expression. No two souls are being fitted for the same place in cosmic work, and as a consequence no two souls have exactly the same experience. To one who has the eye to see Nature about him, how clearly she strives for diversity! Now there is a peculiar thing about those who believe they remember their former lives. Ninety-nine percent of them, at least, remember when they were celebrities of some sort. Apparently numerous incarnations have helped them not at all; for they are now mediocre. Indeed, they seem to have retrogressed. I have met reincarnated Napoleons who knew nothing of military tactics. I have met great philosophers of the past who in the present life are confined in thought to the narrowest sectarianism. Those who were once high priests of Egypt, now know nothing of the ancient mysteries. An authoress of considerable note remembers when she was Mary Magdalene, but is quite ignorant of certain customs of the time, and in a later book expresses doubt if there ever was such a person as Jesus. Another peculiar thing about these revived memories is that a soul in reincarnating seems capable of much division. The general favorites are: Napoleon, Joan of Arc, Daniel of lion den fame, and Alexander the Great. There are others almost as popular, but in almost any community of size where reincarnation is much taught, there will be found one or more of each of these. Several of each walk the streets of Los Angeles. I believe there are two distinct reasons why usually, though not always, past incarnations that are remembered are those of important personages. The first reason is egotism combined with autosuggestion. In all of us is the latent desire to be heroic. We desire to be someone of note. In remembering past incarnations a person is in a psychic condition, and the unconscious desire to be someone great acts as a suggestion to the imagination, which fulfills the expectation by bringing into consciousness such apparent memories. The same factors operate in the case of the more ignorant and less progressive spirit mediums, who feel sure they are controlled only by great personages, or even by the Master Jesus Himself. The other reason is that those who have been notable persons in the past have had potent minds or have lived strenuous lives, and thus have left a more powerful record in the astral substance surrounding the planet. The vibrations they have left are therefore more easily contacted, and it is quite natural that a person who is partially lucid should get into rapport with these astral records of notable persons and thus remember them, rather than that they should contact the records left by less potent people. I have watched with considerable interest the kindly effort of reincarnationist friends to read my own past lives. On one occasion, when I had been studying Egyptian matters, and felt I had contacted Egyptian teachers, I was given much information concerning my Egyptian incarnations. On another occasion, after studying along an entirely different line, I was told of incarnations that seemed to dovetail with the nature of my researches. Other lines of thought on my part brought to light other incarnations. Except in Egyptian matters, in which they know there is a permanent interest, my friends were unaware on these occasions what I had been studying. Apart from the fact that some of these various incarnations overlap, thus making some of them at least impossible, I have reason to believe that my studies had attracted to me records, and also entities, and that these well-intentioned friends had given me a psychometric reading of what I had attracted. Having now, I trust, shown that the various evidences put forward as proof of human reincarnation are in reality misinterpretations of psychic phenomena and thus capable of a better explanation, it is time to inquire how and why the doctrine came to be so widely accepted. Certainly it is not an occult doctrine, for occult doctrines and esoteric teachings in the past were reserved for the initiated few. The seething masses were ever fed the husks of truth. And about human reincarnation there has been no secrecy at any time. It was proclaimed from the housetops. It is a sacerdotal dogma. As such it was put forward by the priesthood of the Orient for the very same purpose that other dogmas have been foisted upon the public by the priesthood of the West. This is not a tirade against the teaching of any great soul or Master, but merely a rehearsal of the usual fate of a truly spiritual doctrine. The teaching is given out by some inspired teacher as a message then most needful. It attracts a following and gains in impetus. But as its influence spreads it attracts to it a dominant priesthood, or is appropriated by the priesthood already in power. The priesthood have ever held it to be their prerogative to be the custodians of the mysteries. And for a time they may be unselfish in their enthusiasm. But the time comes when they or their descendants find the temporal power and advantage of their position is of greater importance to them than keeping their doctrines pure. Consequently, to keep in power and to obtain subservience from the masses, such dogmas are formulated and incorporated into their creeds as they think will best serve this end. Finally, the real spiritual ideas are lost to the priesthood, and the whole religious system becomes a machine to further their own material ambitions. Of course, people under the yoke of oppression and surrounded by injustice, have a tendency to rebel. So it becomes the aim of the priesthood to formulate and teach some doctrine that will make the populace content in their misery. One common device to this end is the teaching that the priest is the sole interpreter of the divine will, and that the ruling power—usually hand in glove with the priesthood—is appointed by Deity, and therefore to rebel against him is to rebel against Deity. In Japan, the Mikado is a direct descendant from the sun, and his word is the word of Deity. The chief hierophant of the Buddhist Church, the Taley Lama, is said to be a reincarnation of Buddha. He is, therefore, quite as infallible as the Pope in Rome. We in the West also have the divine right of kings to rule, and “the King can do no wrong.” These doctrines when believed by the populace make it possible for king and priest to live in luxury, while the people live in abject poverty. More potent still as a doctrine to keep the populace in subjugation, is the teaching that obedience to priest and ruling authority will bring rewards after death, and that rebellion against them, will bring after death punishment. The Japanese soldier fights fearlessly and dies willingly for his ruler, because he believes that such a death brings the greatest possible rewards in the “beyond.” Moslemism carries this idea to its psychological climax. It pictures alluring females, pillage and rich plunder, ease and pleasure, for the brave soldier who gives his life for his faith—that his ruler may live in luxury and power. That which the ruler has in this life is promised as a reward after death to those who faithfully serve him here. In the West every step civilization has taken has been opposed by the priesthood. Realizing that every discovery of science is a blow to their power, for an enlightened people will not stand oppression, they have done their utmost to impede progress. Thus it is that even today many scientific facts are loudly denounced, because they conflict with religious dogmas. Death bed conversions still promise salvation; and still the priesthood reap a rich material reward from those who would buy their way into heaven. Yet, for keeping a populace servile and preventing discontent and insurrection, no other doctrine ever formulated has been so successful as the dogma of karma and human reincarnation. The Caste System is the natural and obvious result of a belief in human reincarnation. Thus it is said in reincarnation countries that woman incurs the penalty of being born into female form because of sins previously committed, otherwise she had been born a man. And to treat a woman with respect is to interfere with karma and consequently be in danger of creating bad karma for oneself. So strong is this feeling, that in some places a man will not rescue his mother from drowning if to do so he must touch her. Karma permits him to extend a pole to her if one be handy; otherwise, she must drown. Those born in the highest caste are supposed to have lived extraordinarily good lives to be thus rewarded, and so have a right to lord it over the next lower caste. Those born in the lower castes are supposed to have committed grave offenses in past lives, and so merit all the misery they endure. Thus it would be as unjust to alleviate their suffering as it would be to permit a criminal to escape the sentence imposed on him by legal authority. Furthermore, the lower castes, believing their sufferings but their just dues, permit the upper castes to prey upon and oppress them; for to retaliate would make more evil karma. Of course the priests, as sole interpreters of the Deific will, retain the authority to say just what actions incur good karma and just what actions incur evil karma. Consequently, by teaching that evil karma results from the actions they oppose, and that good karma results from the actions they commend, they have a lever by which they can cause the populace at all times to do their will. It is true that ideas reincarnate. In this sense reincarnation is a fact; but human reincarnation is an inversion of this reality. The thought of some man of faith and vision is contacted by other men who carry out the original idea even though the one who first thought it has passed on. Great ideas thus reincarnate time after time. Further, a Hermetic tradition holds that there are certain exceptions that prove the rule. Stillborn children and congenital idiots, it is taught, having actually never fully incarnated in human form, may reincarnate. Karma, too, has an actual part to play in existence; but in a very different manner from that taught by human reincarnationists. These base their doctrine on two ideas that are fast becoming obsolete in all civilized countries. One is the old Jewish code of an eye for an eye and a tooth for a tooth. Criminal punishment, to be sure, up to the present time the world over, has been based largely upon vengeance. Because the criminal had violated a manmade code, it was proposed to make him suffer. A few hundred years ago in the most advanced countries even a petty theft was punished with long imprisonment or death. Later it was recognized that the punishment should be commensurate with the seriousness of the crime. And this seems to be the idea of the reincarnationists as applied to karma. But it is fast coming to be recognized that people commit crimes, and that people sin, for one reason only, and that is through ignorance. Had the criminal a full realization of the manner in which his acts against society react on his own character, had he the vision to see the full consequence of his misdirected energy, he would commit no crime. In fact, crime more often than not arises from the entirely false notion that one person may truly gain at the expense of another. Otherwise it arises through lack of self control, which again is ignorance; the ignorance of how properly to control the thoughts and actions. Society is beginning to recognize this, and as a result we hear less about punishment. The idea of vengeance, or even of payment to society for transgressions, is gradually being abandoned and in its place we hear more about reeducation. Instead of punishing criminals, of getting even with them, they are merely restrained, and this for the protection of society. When it is deemed they no longer are a menace to society, that they have been reeducated to a point where they will not endanger others, it is more and more the practice to parole or pardon them. Neither do I find Nature seeking vengeance. Those who transgress her laws, it is true, suffer. But when they gain sufficient insight that they obey her laws, suffering no longer serves a purpose. Primitive man no doubt suffered with the cold, but when he learned how to start and maintain a fire his need to suffer with the cold was less; for he had learned how to adapt himself to an environmental influence. So also, now that man has arrived at the stage of his evolution where efforts for the welfare of others are the prime necessity for further progress, such efforts adapting him to present and future environmental influence, he needs no further punishment for transgression. Instead, he needs to be taught the advantage of working persistently for the advancement of all. The other obsolete idea is that the important adjustments in Nature are the result of the intervention of superphysical intelligences. It was once thought that volcanoes only erupted when the god in the mountain was angry. And now we have the Lords of Karma who seem to be the administrators of karmic law, much as Jehovah was once envisioned on a throne meting out justice here and granting favors there. There is, as I said, some truth in the idea of karma; for every act and every thought adds energy to the astral body, and these energies, both here and hereafter, determine the environment and events attracted. Furthermore, every act and every thought are recorded in the astral substance about the planet. At death the soul passes through this thought world of its own creation, faces these records, and passes judgment on its own acts. Unless it has built up, by a refined life and unselfish endeavor while still on earth, a dominant spiritual vibratory rate, it will be compelled, through the law of resonance, which supplants gravitation, to live on lower astral levels until by appropriate thoughts and acts it has spiritualized its dominant vibration. Then it will move to a higher inner-plane level. Karma, it will thus be seen, is really the influence of the thought cells within the finer form as these have been organized by the mental attitude toward experiences. It has no power to force the human soul back to a life upon the earth. Fearing that the truth about these things may be learned by the people, and thus upset priestly assumption to knowledge by revealing a conscious progressive life after death instead of either human reincarnation or a dreamy and purposeless nirvana, the priesthood of the East have endeavored to discourage investigation by formulating the doctrine of “shells,” warning against elementaries, and attributing all communications from loved ones who have passed on to depraved earthbound spirits. In the West, that their pretensions to knowledge might not be shown to rest on ignorance, the priesthood have quite as strenuously opposed investigation of the life after physical death, attributing all communications from the “beyond” to devils. As a further example of priestly machination, we learn from The Inner Life, by Leadbeater, that the head of the Eastern hierarchy is one of the few remaining Lords of the Flame who came down from Venus nearly eighteen million years ago, and that the two masters who inaugurated the T. S. will become the temporal as well as the spiritual leaders of the Sixth root race. It is plain what power would be placed in the hands of the priests, were these doctrines widely accepted. And from the effort made to pave the way I should not be surprised if an attempt soon were made to palm off on the West a fake avatar (this was written and published December 1917). For earnest Theosophical students the world over I have the utmost love and respect. But this Eastern hierarchy proclaims that the one thing that the West most needs is the teaching of reincarnation and karma. Yet such a belief devitalizes effort and causes social evils to be considered as just and inevitable. Instead, it seems to me, the West and East alike need the teaching that where man wills, the gods themselves are powerless. Inharmonies of some kind will exist as long as the planets form inharmonious aspects, but the discord need not manifest in its present manner. By wise education abolish the injustice of man to man, by wise attention to hygiene, dispose of sickness, do away with the evils of poverty and wealth, and Fate and Karma, aided by all the planets in the sky, are powerless to reproduce them. We need no teaching of servility to evil and injustice. What is needed is the teaching of man’s divine birthright. Heartsick, I have listened to professed teachers of occultism seriously inform their classes that owing to present world conditions, it would be impossible for them to develop their inner faculties in this life, and that all they could hope to do would be to try to bring back a consciousness in the next, that would spur them to such effort. What an incentive for souls after death to linger about the earth, bound to it by desire and the false hope of reincarnating! I have known promising occultists whose inner consciousness and soul faculties were already partly awakened, to be discouraged by such advice and cease making an effort. People come to our classroom in ill health, and boast they are making no effort to cure their infirmities, because to do so would be to interfere with their karma. And the one thing that causes us more correspondence than any other in the mail-order part of our work is the idea so many people have, that their hard lot in life is due to a just karma, and either that it is not worthwhile trying to change conditions, or that it would not be right to overcome their wretchedness. I know hundreds of people personally and through correspondence, whom the dogmas of karma and human reincarnation have unfitted for useful and efficient lives through inducing negativeness and stifling effort. Here in the West we have made greater strides in civilization, because we have been able to free ourselves more fully from priestly dogmas. But in the East the dogmas of karma and human reincarnation have such a hold on the people that they have sunk into physical and mental apathy. The condition of the people where these dogmas are accepted proves this to be true. I have shown, I believe, that all the so-called proofs of human reincarnation rest upon misinterpretations of psychic phenomena. I have indicated the source of its origin to be a crafty priesthood; who continue to use it as their most effective means of keeping in power and commanding servility from the populace. It blights the hope of a conscious spiritual life by teaching that the earth is the only place where experience may be had, and that the ultimate haven is nirvana. This is essentially a materialistic doctrine, for it narrows the mind to earthly things. 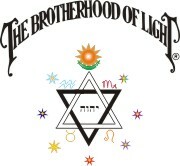 It makes universal brotherhood impossible because it teaches each is already receiving his just dues. Thus it quenches the unselfish impulses of the soul to assist others. The soul sinks in despair at the thought of innumerable births to come amid all the sordid surroundings of earthly life. It is a dogma that stifles initiative, makes for servility to tyrants, is materialistic, and in my opinion, the most pernicious doctrine ever accepted by a human mind. Human reincarnation is an orthodox teaching of the Orient. Because of modern discoveries, no one any longer believes in the other ideas about Nature held by those who lived in the period when the orthodox beliefs of both East and West were formulated. 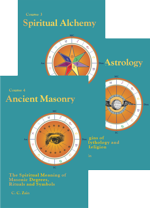 The workings of God’s Great Evolutionary Plan as observed in the operations of Nature, and the Universal Moral Code, are explained in Course XIX, Organic Alchemy. 1928	October, first flight of lighter-than-air craft to America: Sun square Venus r, Sun conjunction Asc. r.
1929	August, first round-the-world flight in lighter-than-air craft: Sun opposition Neptune r, Sun square Uranus p, Mars square Moon r.
1931	July, arctic cruise in Graf Zeppelin: Venus trine Moon r, Mercury inconjunct Jupiter r.
1934	October, proposed commercial air service between Germany and America; proposal accepted: Mercury trine Uranus p, Venus inconjunct Jupiter p.
Famous (ruler of 10th in 1st, trine M.C.) theatrical producer: Venus conjunction Mercury in 5th, house of the theatre, forming a Grand Trine to Moon in 12th and Jupiter in 8th. Abundant money from public: Jupiter in 8th, forming Grand Trine to Moon in 12th and Venus in 5th. Dramatic ability: Neptune elevated, sextile Asc., semisextile Moon. Originality: Uranus conjunction the Asc. Cooperation with others: Pluto square Sun, trine Mercury. Organization, system, perseverance: Saturn in 1st, sextile Sun.